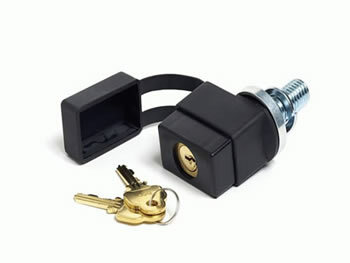 Locks your Draftmaster securely into your receiver hitch. 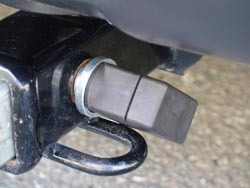 Threaded locking bolt maintains the Draftmaster's anti-wobble receiver connection. Not the same as a locking receiver pin! Available in both 2.00 and 1.25 inch sizes. Replacement keys available.